The Shocker is a Marvel villain known for his battles with Spider-Man. He is generally considered to be on the lower tiers of Spider-Man villains and is often used as powered muscle by other villains. The Shocker is set to appear in Spider-Man Homecoming he will be played by actor Bokeem Woodbine. Herman Schultz was a brilliant child though he never applied himself in school. As a high school drop out he turned to crime as a profession. He used his intelligence to become a burglar and expert safe cracker. His initial criminal career did not last long and he was caught and incarcerated. While in jail he invents and creates gauntlets that emit high powered bursts of air and that vibrate at high frequency. He immediately uses the gauntlets to escape from jail and adopts the super villain persona of the Shocker. His call to fame is his gauntlets. Spider-Man confronts the Shocker after a robbery and is beaten. Spider-Man was at a severe disadvantage in this initial encounter though as he had just fought the Lizard and had sprained one arm in the previous battle. Once recovered he fought the Shocker again and this time easily beat him. Thus begins the first of many Spider-Man beat downs of the Shocker. The Shocker has been invited to join many super villain teams and has been hired as a body guard at times by other criminals. In one major plot the Shocker began blacking blocks of the city powergrid in a pattern to spell his name. He then demanded ransom from the city before he would allow the grid to go back up. In Marvel Now the Shocker saved the lives of hundred of gangsters by defeating the Punisher who had come to take them out. The Shocker does not get caught up in vengeance he remains constant in his pursuit of money. The Shocker designed a special suit to alleviate reverb from using his gauntlets. The Shocker is set to appear in Spider-Man Homecoming he will be played by actor Bokeem Woodbine. 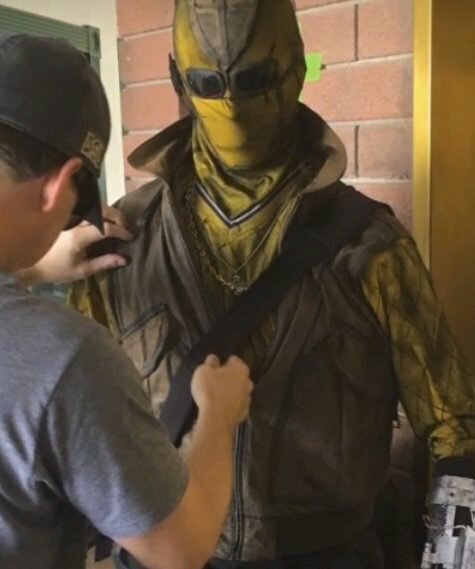 It seems that multiple men may wear the Shocker suit in the film Spider-Man Homecoming. The images of the suit show that he wears a similar suit and gauntlets. The mask itself is a little different than the comic version. Bokeem Woodbine can be seen caring the Shocker Gauntlets in a clip from the international trailer for Spider-Man: Homecoming. He does not appear to be wearing the Shocker mask but he as the gauntlet and is wearing the electric proof suit. 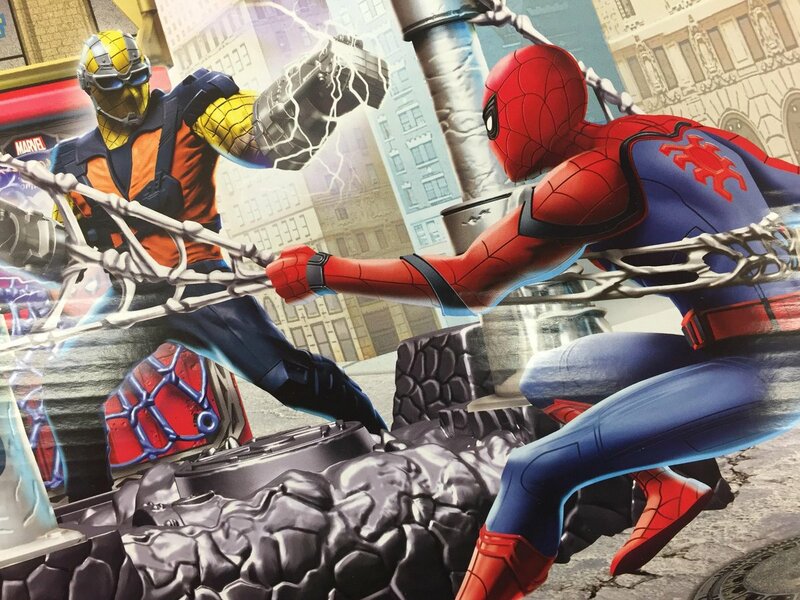 There is also an image of Spider-Man fighting the Shocker on some merchandising that gives an idea of what the battle between the two could look like.